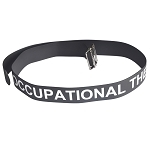 A black wrist strap connects to a rubber strip that fits most standard wood and aluminum canes. 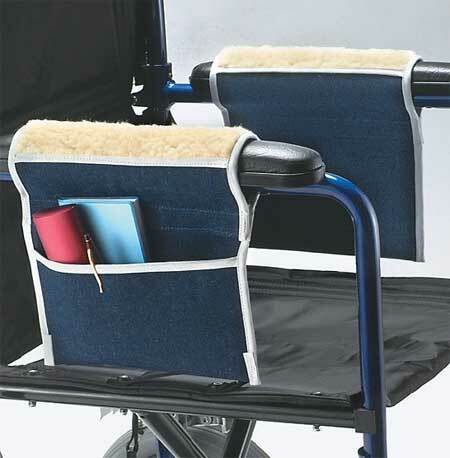 The wrist strap helps walking cane users keep the cane by their side. 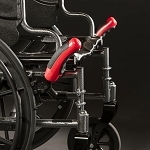 The Universal Cane Wrist Strap is a durable strap that easily slips over the user's wrist to keep a walking cane secure. 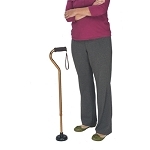 This cane accessory eliminates the awkwardness of trying to find a place to set the cane down and stooping to pick up a dropped cane. 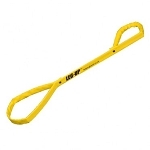 The small loop fits most standard wood and aluminum canes. The long loop is 9 1/2 inches long. Size: 9 1/2 inches long loop strap. 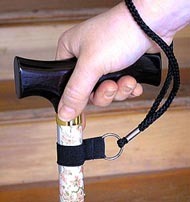 Very useful cane " leash "
This product is hard to find. Our local CVS, where I've picked up my canes, doesn't stock them. I find the strap very useful. 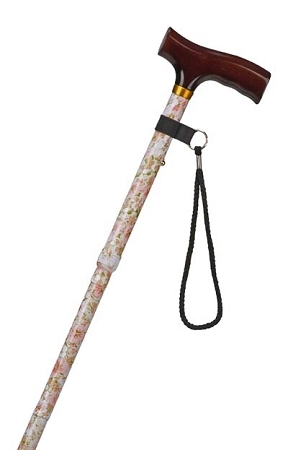 It enables me not to have the cane slip away ( and clatter to the ground ) when I need to use both hands. A simple little thing but so useful and not easy to find. You'd think all canes would come with them, but they don't. Thanks, Wright Stuff! Excellent item. 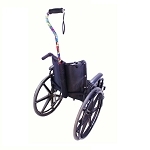 Fits any cane of any size, easy to attach to your cane, and is a comfortable strap. I highly recommend this. Q: will it work with a 18mm cane? A: The small loop fits most standard wood and aluminum canes. The long loop is 9 1/2 inches long. Q: Does it come in white ?